It wasn’t until I began teaching that I realized wrong approaches to practicing can often be more damaging than a lack of practice! The lovely expressive piece that devolves into a sloppy jumble. 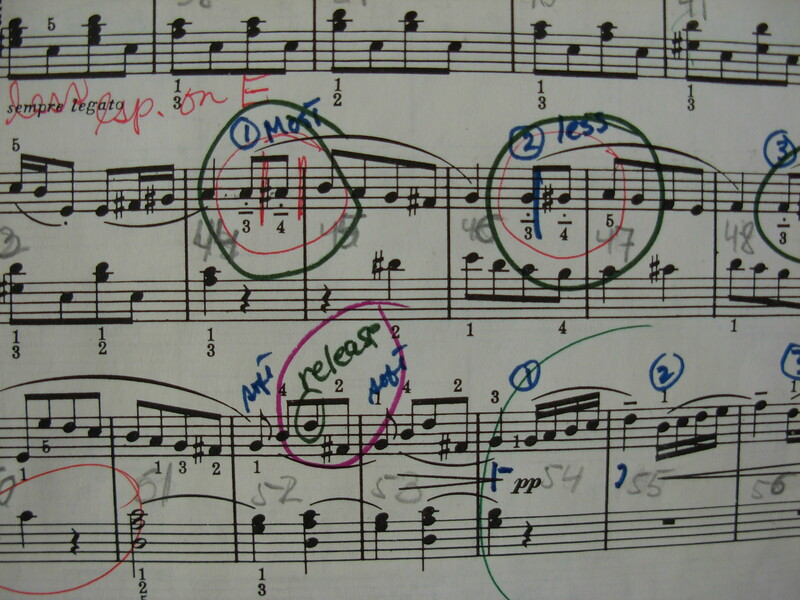 The shining performance that comes to a grinding halt in the middle of a recital when finger memory gives out. The reality is, each one of my kids spends maybe an hour with me each week. If they are conscientious little musicians, they spend another 5 or more hours at the piano alone, trying to figure out what to do, and often, through no fault of their own, undoing the progress they made at a lesson. Some are lucky to have parents that provide guidance. Sadly, often even the most well-meaning parent can’t offer much beyond “do it again.” I shudder as I remember one lesson when a student ‘fessed up that her mother had instructed her to just play each piece five times a day. A hold-over suggestion from the days when she was zipping through tiny method book songs—not so great for the four page Sonatina! And so I try to educate my pupils and their parents about the danger of “do it again.” “Do it again” is absolutely vital, but it only works when each “again” comes with a specific goal, with full awareness and intention, with a deepening understanding, with a thoughtful process. A few days ago, Erica Ann Sipes did two amazing blogposts about effective practicing. Limited in her practice time by a wrist injury, Erica recorded on video the process of learning a new piece in a way that makes every “do it again” count! I was deeply impressed and inspired by the intelligence, musicality and good sense of Erica’s playing. And then I immediately sent the videos to all my studio parents. “This is what real practicing looks and sound like!” I told them. Go here and here to read about and watch Erica’s practice sessions. And then see if you can resist the sudden urge to sit down and really work on a piece of music—I couldn’t! 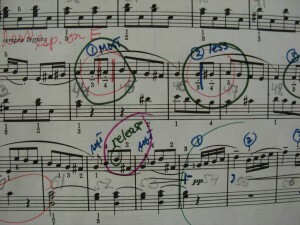 This entry was posted in practicing and tagged musings, practice. Bookmark the permalink. It is so nice to meet you and to find out about your blog! I grew up in San Francisco and at the Conservatory especially, so it’s wonderful to meet someone teaching back in my hometown. And now I look forward to following your blog now.